I had low expectations but was actually positively surprised. The plot is quite basic and the small steps that has been taken to spice it up is almost not noticeable, but what could you expect from a movie based on a computer game? I have seen worse. We are taken through the happy childhood of Chung-Li, but quickly everything changes and leaves a few gaps. This is a bit confusing but as the action pace high, it does not matter that much. There are a few cheesy lines and some of the scenes are a bit ridiculous, but again far less than what could be expected. Kristin Kreuk does an acceptable performance as Chun-Li, but was she not supposed to be Asian or at least partly Asian? The change of her ethnicity as she grew up actually confused me so much, that I thought that it was a different character at first. I am also a bit disappointed that she at no point at all wore any outfit that corresponded just the slightest to the actual Chung-Li from the computer game. Her fighting style was also very different as far as my armature eyes could see. Both Chris Klein and Moon Bloodgood do an all right job playing agents of different agencies. Robin Shou reminded me of an old kung fu movie where the audio it poorly synchronized to English. I was expecting to see more fighting from Bison and Balrog, so that part disappointed me. Michael Clarke Duncan was a natural talent as a big brute, and Neal McDonough usually is quite good as a bad guy, but here he disappointed me. In general the fighting sequences were only average where you might have expected something a bit better from a movie based on a computer game about fighting. The explosions were classic overdone, but that is normal for movies like this and therefore quite fitting. If you liked the computer game from CAPCOM, there is nothing to motivate you to see this movie apart from the names. 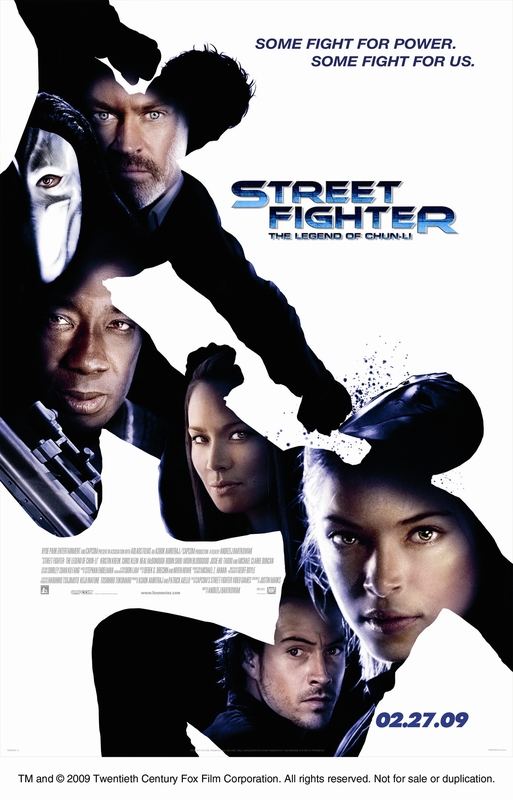 If you like basic action martial arts movies, this movie is all right.